Digital Signage Expo (DSE) 2016, which runs from March 15–18 at the Las Vegas Convention Center in Las Vegas, NV, has planned to have more opportunities than ever before for systems integrators to improve their businesses. The Tuesday event, an integrator-specific all-day seminar, will cover the topic of “Building Better AV Integration Business Models for Digital Signage,” and is presented by Systems Contractor News, presented by SCN editor-at-large Kirsten Nelson. It is designed to provide AV integrators with practical business perspectives on how to move beyond the screen and into more complex and profitable digital signage implementations, and will feature guest panelists from high-end digital signage companies and some of the most successful AV integrators in the space. Other differences in this year’s show include an increase in international visitors and exhibitors—Varrone said that there are specific pavilions planned for guests from South America, Mexico, and Korea—as well as the addition of a Self-Service Pavilion, which will focus on kiosks, one of the industry’s fastest-growing segments. Additionally, this year’s Apex Awards ceremony will be combined with the annual free networking reception, featuring hors d’oeuvres and cocktails, from 5:00 to 7:00 p.m. on Wednesday, March 16. Varrone said the combination of the two events—to which every exhibitor and attendee is invited—is expected to increase attendance for both, making the networking opportunity even more valuable. 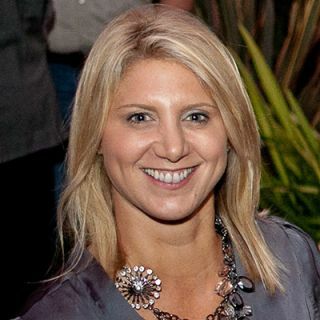 Andrea is the Show Director for Digital Signage Expo (DSE). She joined Exponation in 2008 as a sales associate. She was promoted to Sales Manager in 2011, after achieving significant sales milestones in her territory. That combined with her increasing knowledge of the industry and relationship building within the digital signage community led to her promotion in 2015 to Show Director. She completed her Digital Signage Experts Group Certification in July 2012. Andrea is a graduate of the University of Georgia.